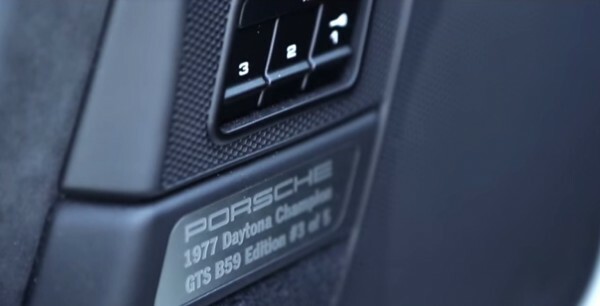 A few years ago, Porsche wanted to do something special for Hurley Haywood as he entered retirement from professional sports car racing. In commemoration of his long career with the Brumos brand, predominately with Porsche, the factory assembled five special edition B59 versions of the 997 Carrera GTS. Five cars were built to commemorate Mr. Haywood's five wins at the legendary 24 hours of Daytona. The B59, ostensibly commemorating Hurley's third win (1977, Ecurie Escargot 911 Carrera RSR with John Graves and David Helmick), #3 of 5, has come up for sale. Being offered at $159,000, this factory-built rarity is an excellent addition to any modern Porsche collection, especially for those with an interest in motorsport. The red, white, and blue Brumos evocative livery combined with the vintage-look 5-lug "Sport Classic" Fuchs wheels, make for an attractive and unique Porsche. Mr. Riley Kelley, a Porsche enthusiast and sculptor in Arizona, was featured in this video with the car. Whether as an exclusive addition to a collection, or simply a rare and exciting daily-driver, this B59 should be on most Porsche fanatics' want list. 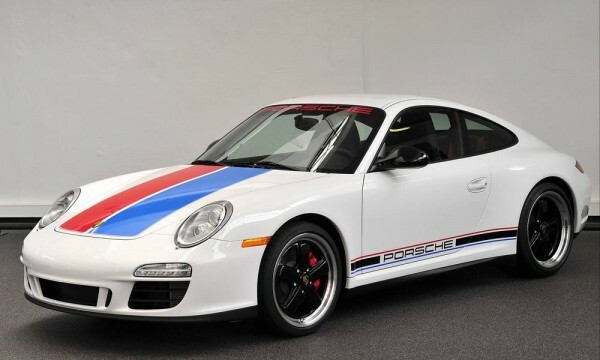 If you were to pick up this premium Porsche, you'd certainly be in rarefied company. Brumos has a long history of special edition one-offs, many commissioned by Peter Gregg himself. The factory felt that it would be a nice way to usher Hurley into retirement, and personally I agree. This is a great car with an excellent sporting pedigree, that's for certain. Now is your chance to own one, so don't let the opportunity slip through your fingers. Where is it for sale? Any link?